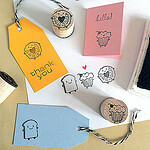 I’ve added some new polymer stamps to my collection, plus there’s a fun new lucky dip offer. 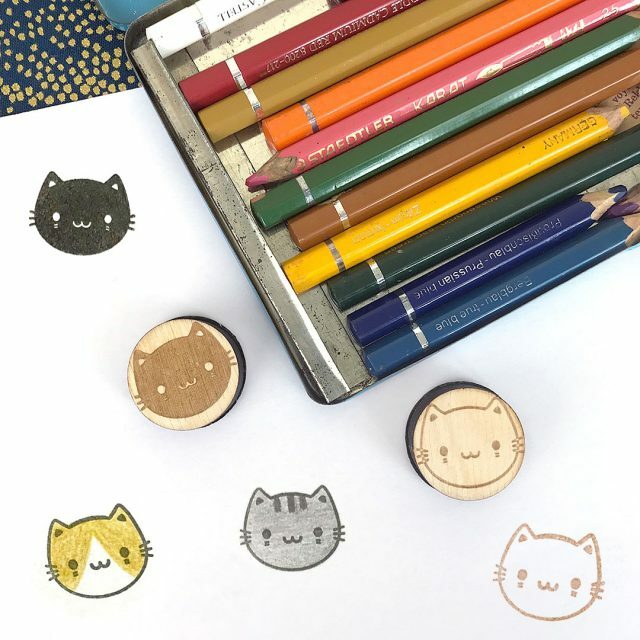 These Cat stamps are my new favourite as you can have so much fun with them. There’s a Black Cat which you can use with any colour of ink pad for a solid coloured cat. Or a White Cat which has an outline so you can add markings or colours inside, or use with coloured or patterned paper. The other new set is a Happy Cloud & Rain Cloud. 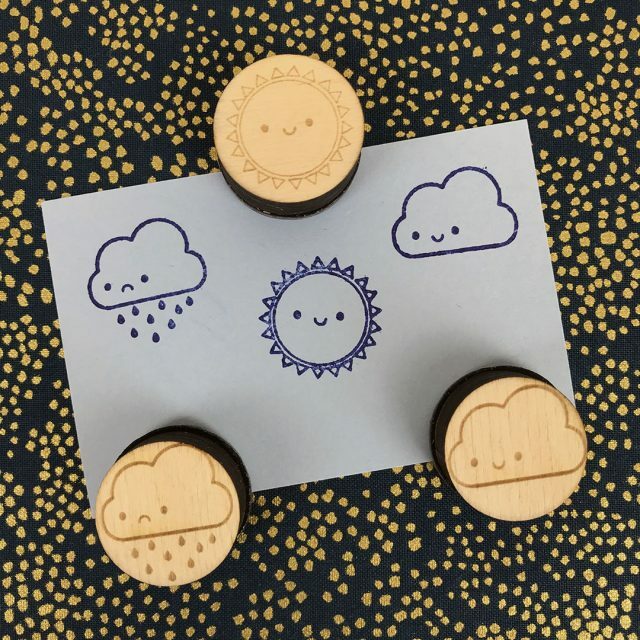 The clouds were a popular choice in the first Custom Stamps Week so I brought them back more permanently. 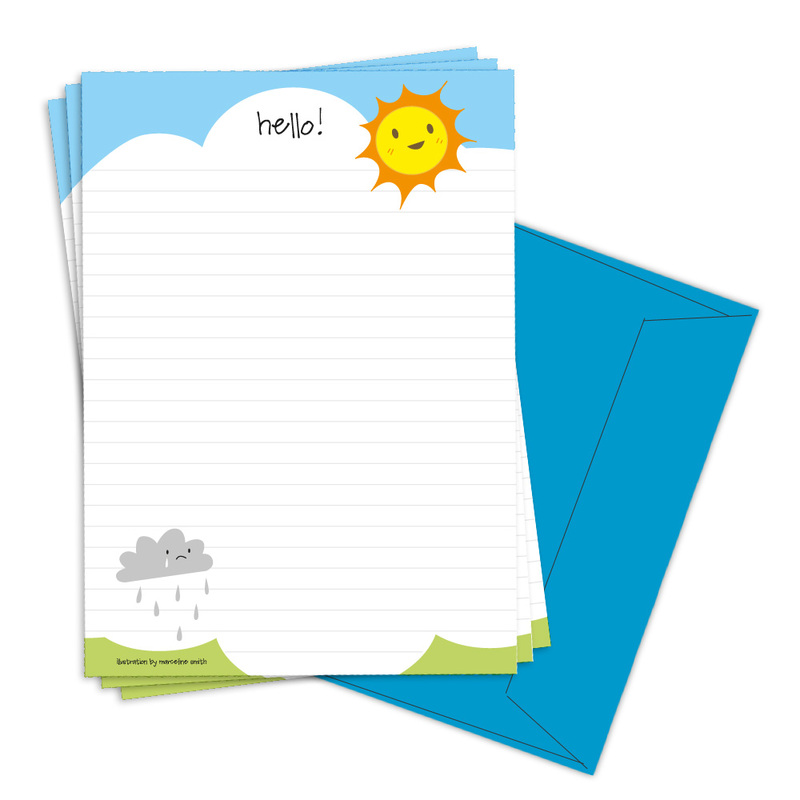 They’d be great for journaling – you could also use my pick and mix offer to add a Sun stamp and make a set for all weathers. 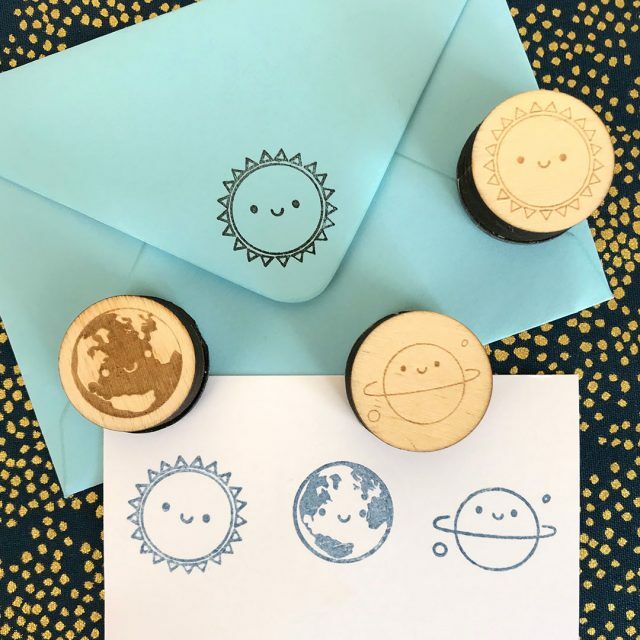 And there’s a Planet Earth stamp too. It’s been added to my Sun & Planet set so you can have a whole space-themed gang or pick and mix your favourites. 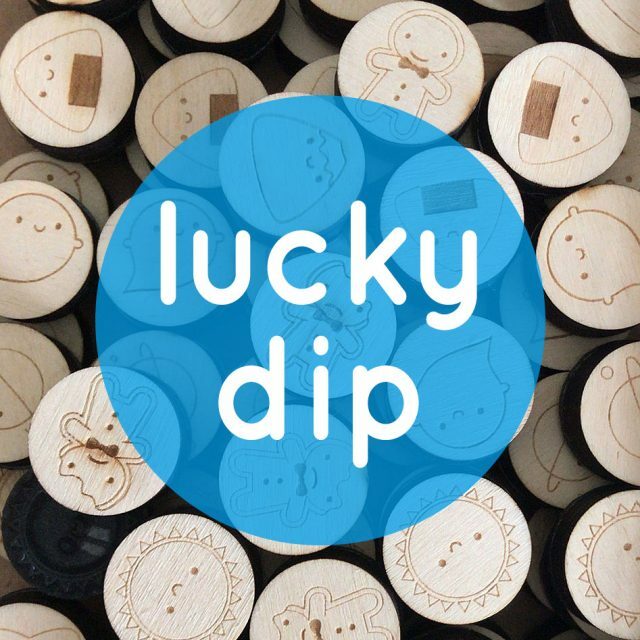 Last, but not least, a new Lucky Dip offer! I’ve got a bag of extra stamps including discontinued characters, overstock and some stamps with cosmetic flaws (but stamp perfectly). Test your luck and you’ll receive a surprise stamp at a reduced price. You can even tell me which stamps you already own so I can try to send you a new one. 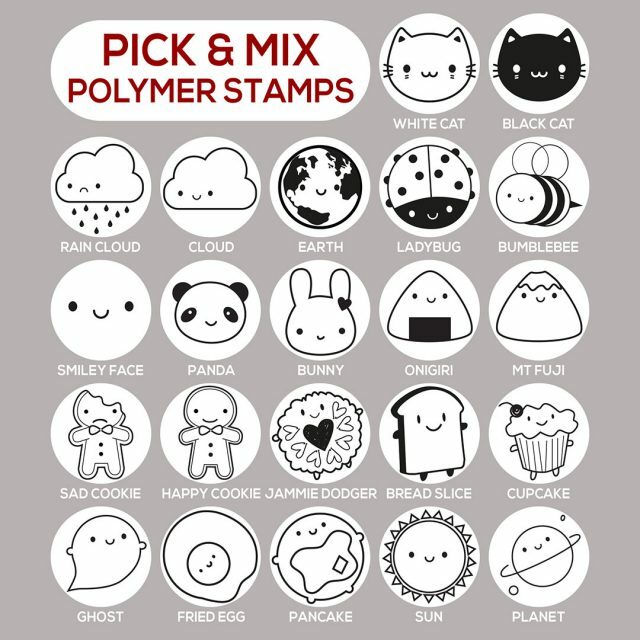 Check it all out in the Polymer Stamps section of my shop. 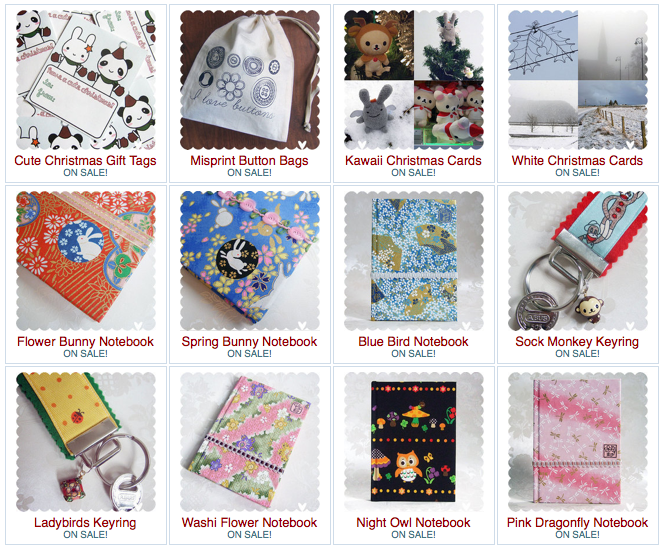 Prices start at £5 for the lucky dip and £6.50 for a single stamp with discounts for sets and everything includes free UK shipping.